I was running past LOFT last week at the mall and had to stop in and try some things on, there were so many cute things in the window! Sharing now, which is excellent timing because everything at LOFT is 50% off with code WANT. The color was so pretty on this I had to grab it - how cute is the shawl collar and the curved hemline?! 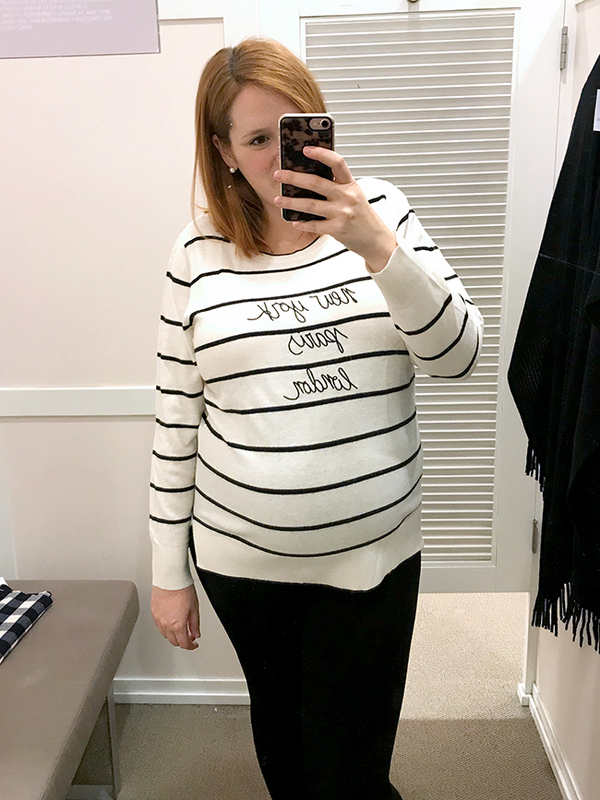 Didn't realize when I grabbed a tee to try on with it that the tee also had a shirttail hem - definitely pair this with a tee with a straight across hem instead! This is incredibly soft too, definitely cozy like the name suggests. And here's the tee I wore underneath - it's a really pretty subtle shimmer stripe. I always find the curved hems on these tees really flattering. 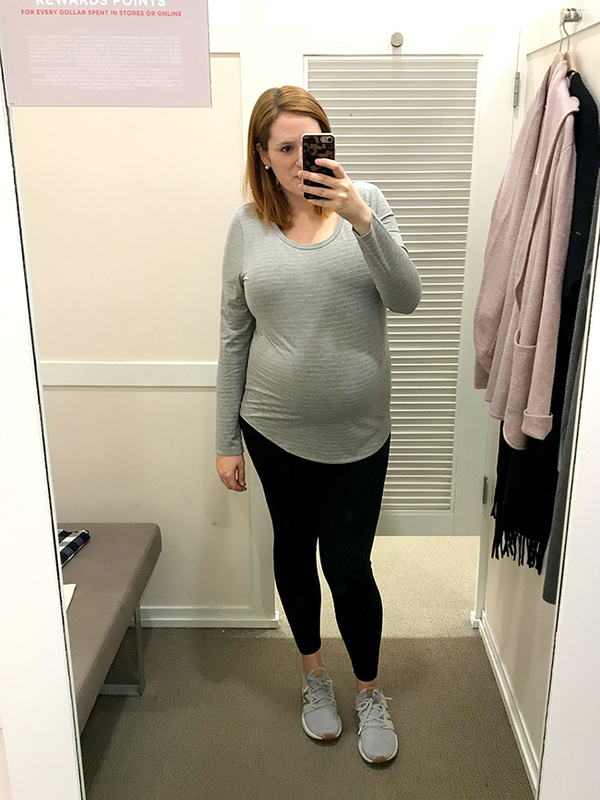 If I wasn't pregnant I'd like the fit, but I always recommend sizing up in LOFT tees as they tend to shrink! This. Is. So. Soft. If you're one of those people who need to be wrapped in cozy, then this is for you. 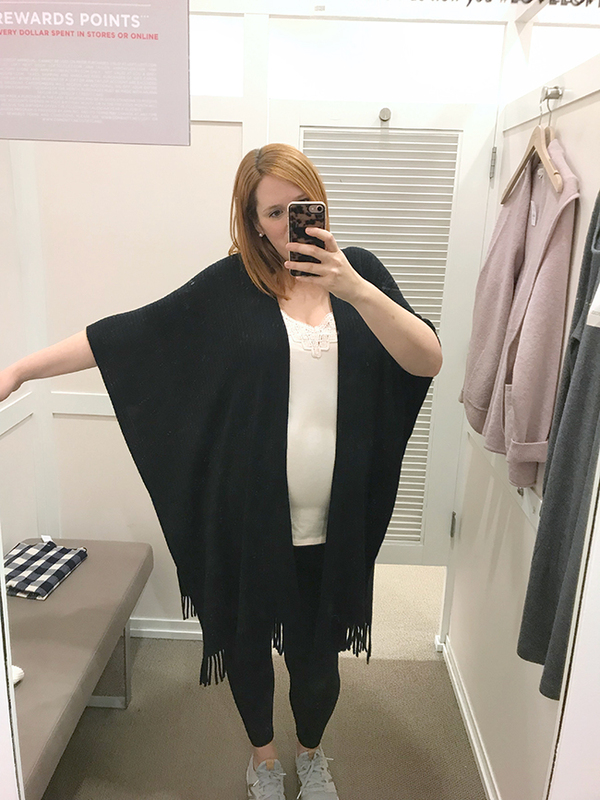 I've really been gravitating to these wraps lately, they're like wearing a giant blanket. 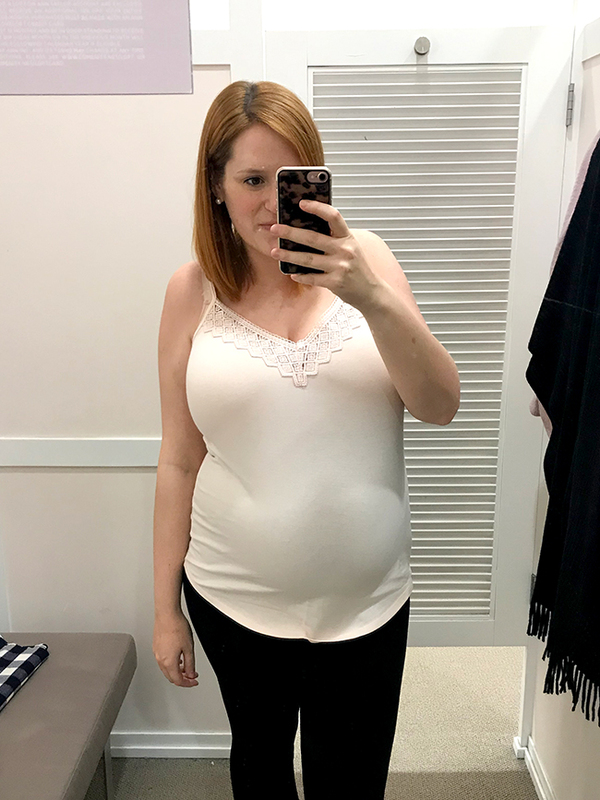 Just a note that this is one size fits all, so if you're petite it probably won't work on you, especially since it is long! It also is open on the sides, which I actually like because it means you can easily wear it as a scarf too. 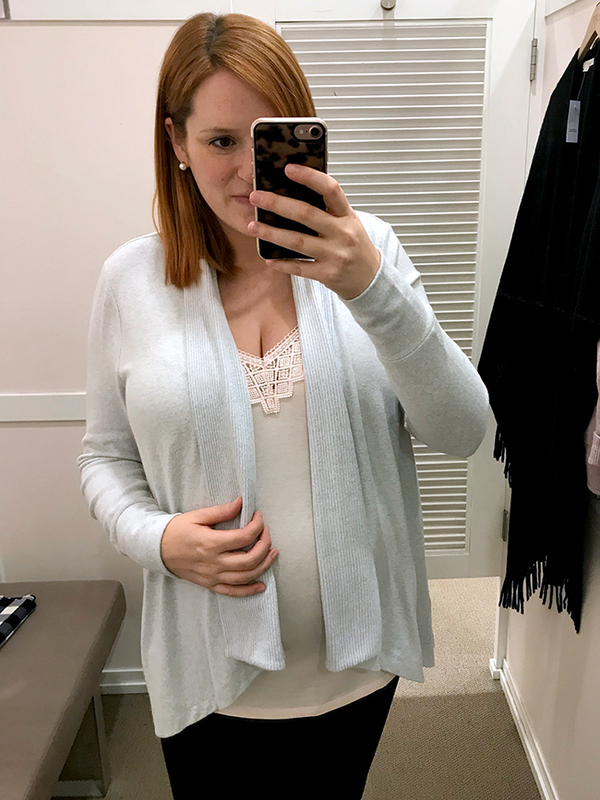 I grabbed this to wear under a few things and love it - how pretty is the lace detail? This also has that flattering shirttail hem. I would definitely choose this size if I wasn't pregnant. 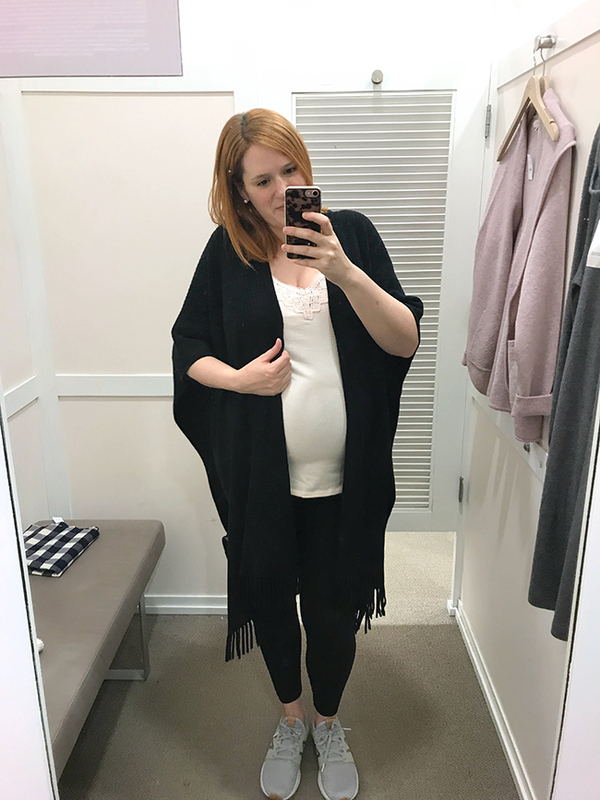 I love this for layering under cardigans or blazers. 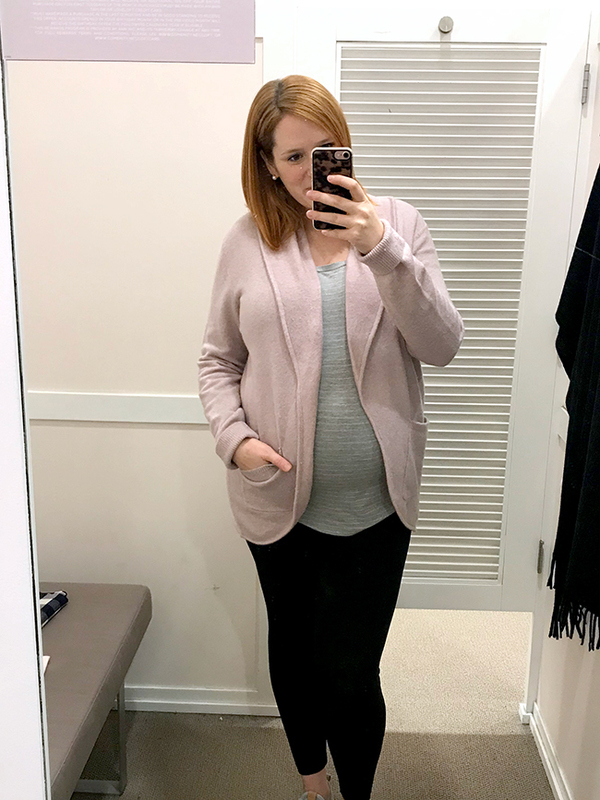 I love the drape on this cardigan, plus it's warm but on the thinner side so it's easy to wear under coats. The only knock I'd give it is it's slightly scratchy to me versus super soft. I'm really sensitive to fabrics though so that might just be me! 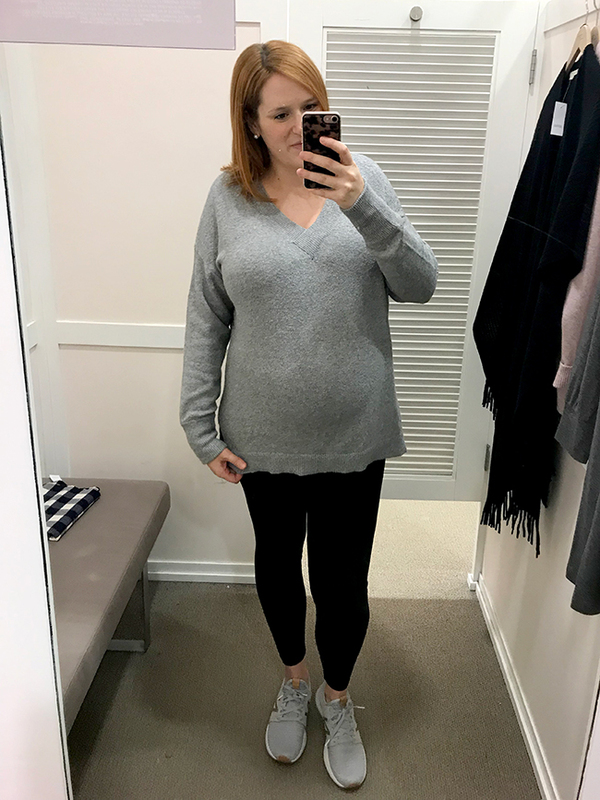 I thought the v-neck would be too deep on me but it actually was perfect, and I loved the oversized fit. This would be perfect with a little front tuck into some jeans. This was also a teensy bit itchy to me, but not enough that it would stop me from wearing it. I really wanted to love this, how freaking cute?! But I would say it definitely runs small, and it's that thin, itchy material that Loft uses sometimes that I hate. If you live in a warmer climate and don't mind itch then snag it! 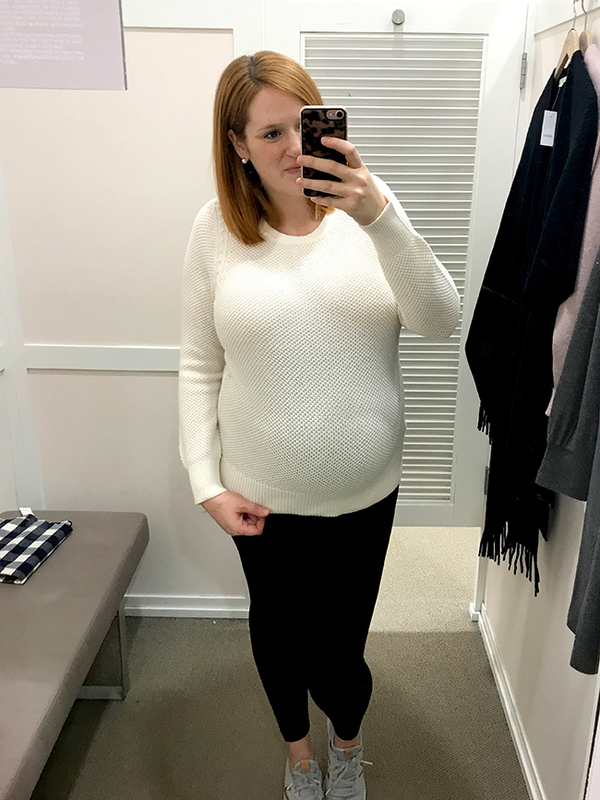 I love the little cable knit detail on this sweater, it gives it a little something extra. This is also super soft which I love. The fit on this is supposed to be closer to the body as opposed to oversized, so I would say it fits true to size. The only thing I didn't love is that the sleeves are a little short on me.